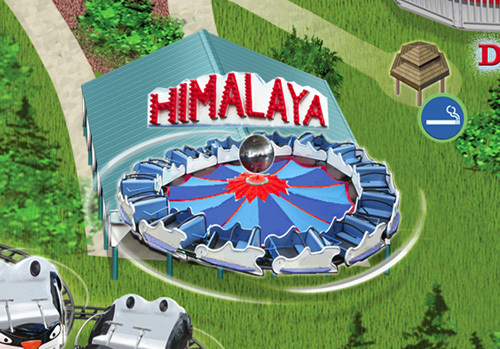 A circular ride that may make you feel a little like you’d feel on top of Mt. Everest! Expecting moms and guests with back problems should not ride. This ride may not accommodate those of exceptional size. Toddlers may ride with a responsible companion of at least age 16, and must be able to both walk steadily without assistance and maintain proper riding posture independently. MINIMUM HEIGHT 42″ TO RIDE ALONE.